Many of you know that I'm under contract with InterVarsity Press to write a book. Yesterday was the deadline for my manuscript, and by God's grace I met it. 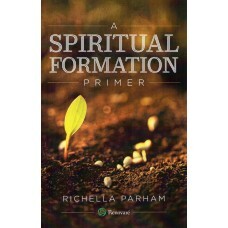 I am so grateful now to turn this work over to the expert guidance of my editor at IVP. She may slice it to bits, but I trust that she knows what she's doing, and in the end the book will be so much better than I could have made it on my own. Thank you so much to those of you who prayed for me! I can't begin to express how grateful I am. I'll keep y'all updated on how things are going, and for sure I'll tell you all about it when the book comes out, but that won't be until next year. So for now, let's turn to some highlights from last week's Grace at Home party. 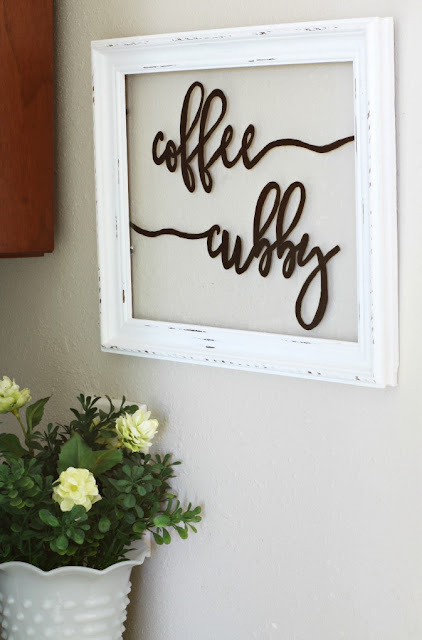 Isn't this "coffee cubby" sign cute? Julie from My Wee Abode created it from an old frame, and she shares amazing step-by-step directions for how to make your own sign with any message you choose—no fancy equipment required! Chas from Chas' Crazy Creations made these adorable pillows using a thrifted shower curtain and an old pair of jeans. 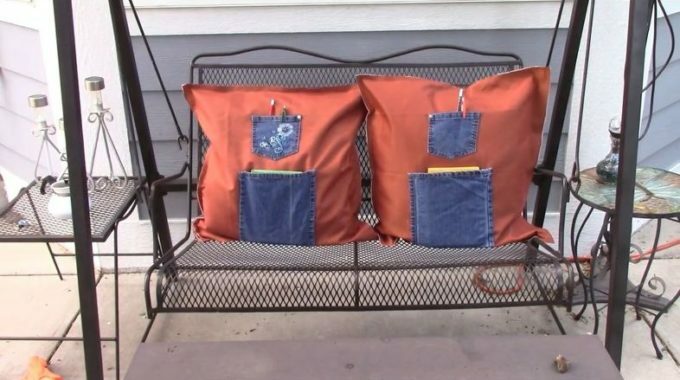 The pillows hold a journal and a pen. Wouldn't this make a neat gift? 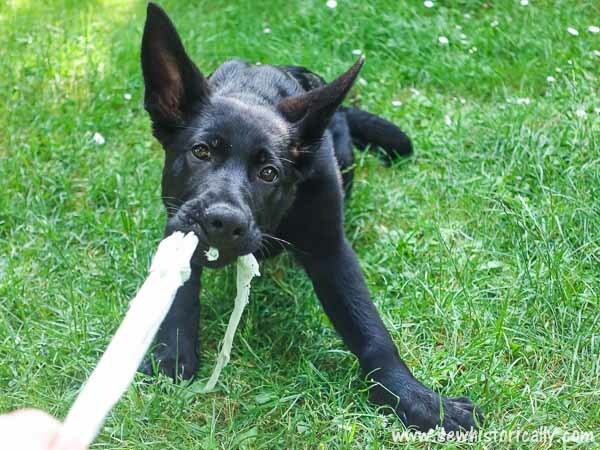 Lina from Sew Historically passed along a great idea for creating a doggie chew toy from an old T-shirt. I think my son's puppy needs some of these! 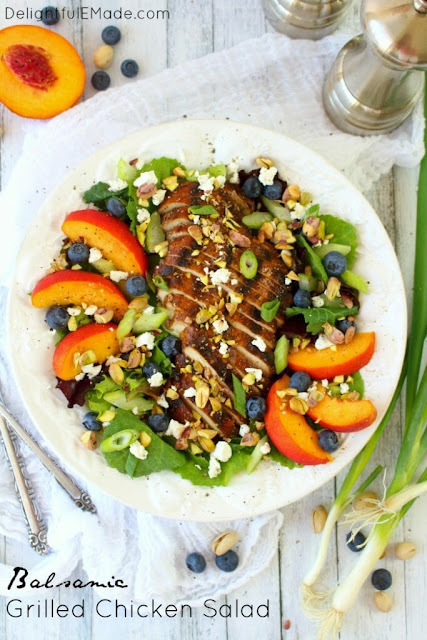 I'm always happy to find recipes for main dish salads, especially for the hot summer months. Erin from Delightful E Made shared this yummy looking Balsamic Grilled Chicken Salad recipe, and I want to try it. Need a bit of encouragement in your life? 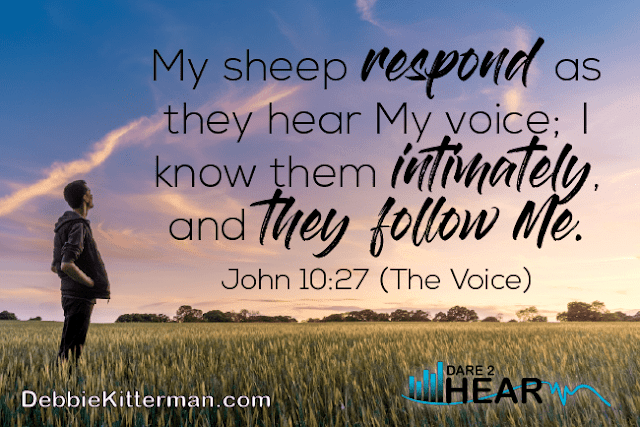 Then you're going to want to read this post from Debbie Kitterman at Dare2Hear. Seriously, click over now and read the story that Debbie shares—and also read about Debbie's new book! 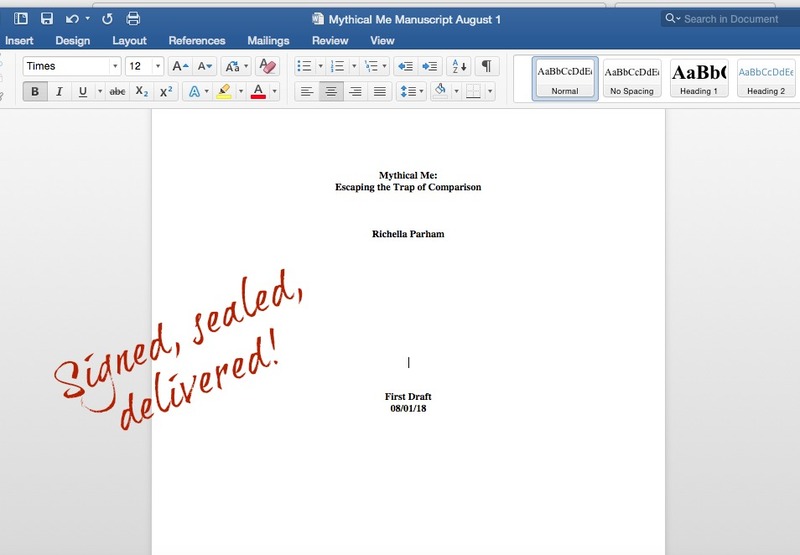 Congrats on meeting the manuscript deadline. I can’t imagine the amount of work in writing a book. I will be looking forward to its release next year! Thanks for hosting Richella! WOW....congrats on completing this - you must be quite disciplined to complete this in such a short time!! KUDOS! Congrats on your upcoming book - must be so exciting and a bit of a relief to hand it over to the editor on time! Thanks for hosting this weekly party despite your busy schedule of late! Congratulations on your book, what a major accomplishment! I hope to also write a book one day! I did a tiny and very discrete and Baptistic happy dance when I saw your post about reaching this huge milestone! And now I hope you celebrate with joy! Congratulations! Yay - so very excited for you to get the what I term the "editing love" phase of the process. I thought it was going to be horrible, but it was the best experience ever! You're gonna love it. Congratulations on finishing your manuscript. A HUGE Thank you for featuring me this week and sharing about my soon to be released book! What an incredible honor and blessing. Thank you so much. YAY! Praise God for His abundant kindness and grace to get you to your deadline! Can't wait for the book to come out... I could have used it this week! ;-) But, I was encouraged through another blogging sister, and through this feature! Thank you so much, Richella! Offering two more this week! Appreciate you hosting, even during this busy time! Yay! Congratulations on the book pretty lady! Oh, Richella! That is just wonderful about your book!!! God bless you with abundant favor and success! I know your book is going to be amazing, and I can't wait to read it! Thank you all SO MUCH for your kind encouragement!! How monumentally exciting! I am so happy for you. Now relax and have a fabulous weekend. Congratulations on your book and thank you for providing a lovely place to share our posts! Congratulations on completely this phase of you publishing journey. I look forward to reading it one day!